In the spirit of love and all that is good and real about Neil Young and his rustie fans, we're pleased to be able to offer free passes to "An Evening With Neil Young" to a few lucky Thrasher's Wheat readers thanks to our friends at Fathom Events. Details follow below. 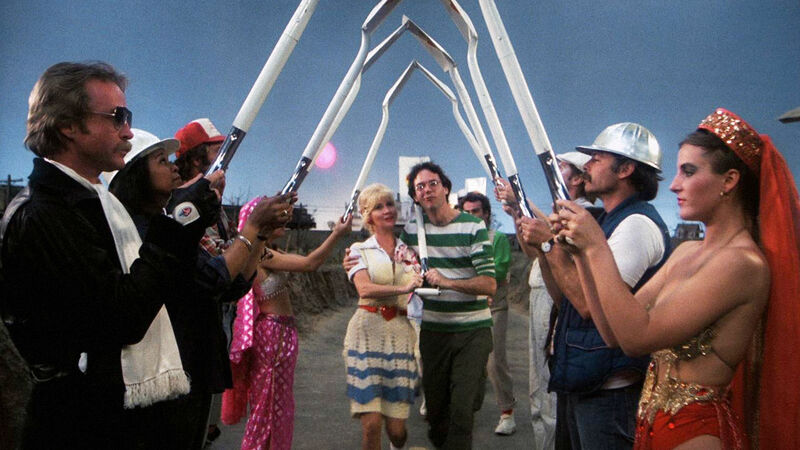 Neil Young's cult classic film Human Highway will be a double feature with the film Rust Never Sleeps and a live Q&A with Neil Young and Human Highway cast members Charlotte Stewart, Russ Tamblyn and Devo's Gerald Casale conducted by Cameron Crowe. The live Q&A will separate the showings of Human Highway and Rust Never Sleeps. "An Evening With Neil Young" will be on Monday, February 29 at select theatres. See full listing of theatres and details on FathomEvents.com . With multiple GRAMMYs®, Juno Awards and many other notable accolades earned during his illustrious career, Neil Young is one of the most influential musicians of the generation. The New York Times described "Rust Never Sleeps" as offering "some of [Young's] strongest songs, both new and old, in performances as fine or finer than those on his recent, partly live record album of the same title," and said "the intensity of the singing and playing of Crazy Horse, Mr. Young's longtime partners for electric-rock projects, is as moving as rock can offer." 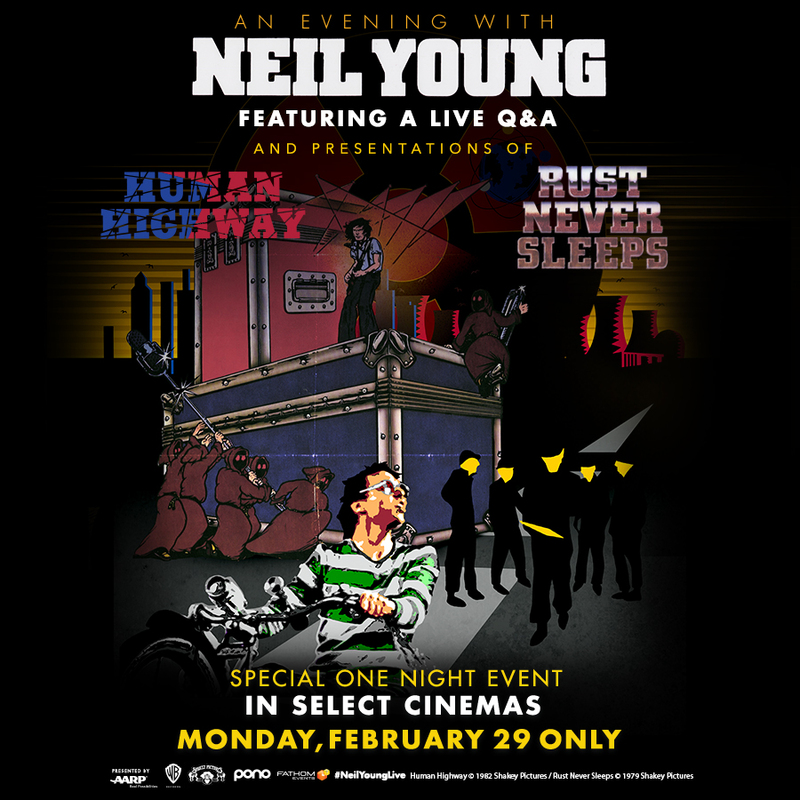 More details on the films Human Highway, Rust Never Sleeps and "An Evening With Neil Young" . HOW TO WIN PASSES FOR "An Evening With Neil Young"
5 lucky Thrasher's Wheat supporters will be eligible to win a pair of tickets to "An Evening With Neil Young". We truly appreciate being able to do what we do here at TW, and we love being able to give something back in return. #1) Subscribe (or be already subscribed) to one of our blogfeed channels either via Facebook Page (LIKE us), Twitter (FOLLOW us), YouTube Channel (SUBSCRIBE), Google + (PLUS us) and/or subscribe to our email list. Judging by the short 30 second Fathom video, the HD version of Rust Never Sleeps is so much better than the DVD video transfer, I am very excited!